This has easily been the biggest week of news on the NHL possibly coming to Seattle ever. Forbes, CBC, Globe and Mail, Sportsnet.ca & ESPN all referenced an NHL team coming to Seattle. The local coverage by KING5’s Chris Daniels and sports radio KJR has been excellent. I will post a lot of links in the story below for you to get the information from the real professionals as they deserve all the credit. Here is my Wikipedia entry on the week as I try to boil it down to the key themes of the week. As discussed in the Globe and Mail Podcast last week, the NHL wants to relocate a team to Seattle and expand to Canada (QC & GTA). The theory being that it’s best to get a franchise off to a running start in a new hockey market (Seattle) because Canada can support a developing franchise a lot better than a new market. Seems very logical to me. With the Coyotes sale to Jamison falling through, the future of the Coyotes in the desert looks bleak. 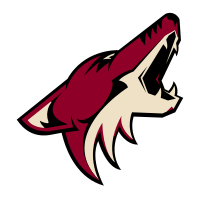 The NHL took ownership of the Coyotes four years ago and has attempted to sell the team multiple times. Many people, including myself, thought this deal with Jamison was going to be the last shot. This is unfortunate for the loyal Coyotes fans and I feel terrible for them. Now that leaves the Coyotes as a viable option for relocation and I am 95% confident if no ownership emerges before May, that team will relocate this summer. Ok, so is Seattle an option for the Coyotes? A prerequisite for moving the Coyotes here is the new arena must be eminent…which really means the Kings deal must go through. This is really noisy if you keep up with all the legal maneuvers and political posturing but at the end of the day, this look good for this to get wrapped up. The Board of Governors must approve the Maloof’s sale to Hansen and formally accept the relocation of the Kings to Seattle. This should be wrapped up in April. Kevin Johnson and Ron Burkle (ironically the Pittsburg Penguins Owner) will be trying to save the team to keep them in Sacramento and expect a lot of lawyer talk with lawsuits, petitions and filings over the next 60 days. This isn’t something to ignore but put it this way, Hansen is up 3-0 in the seventh game of Stanley Cup finals. KeyArena: the league knows this is not a good place for hockey and even Hansen has said that the Key is a tough place for hockey. Several Canadian and a few local news outlets have also reported that it isn’t viable, which I totally agree with from a long term perspective. That said, it doesn’t make sense for a league that has been trying to make things work in Glendale for 4 years, make a decision based on a short term inconvenience like KeyArena if the long term outlook is prosperous for putting a team here. The biggest question in the whole NHL to Seattle movement is who is the potential ownership group. There is tons of money here and lots of local hockey interest but the Venn diagram of the two is unknown. I’ve gone through the obvious people but have not been able to draw a connection. Another likely scenario is that a potential owner emerges out of Vancouver. There is a lot of money up there as well and Seattle would be a great option for anyone who has wanted to own a team that lives in the Vancouver area. Don Levin is the only person who has emerged as a potential owner. Levin and Hansen had a falling out over the summer as they had competing arena proposals. I am almost positive Levin was the prospected owner that met with the league back in 2011 when an NHL team coming to Seattle originally broke. On the bright side, Levin is still very interested in bringing a team to Seattle and is saying all the right things to stay in the good graces with the NHL. He has also confirmed reaching out to Hansen to congratulate him on the eminent purchase of the Kings. Communication lines are open. The only tangible item on the table is the Sacramento Kings ownership transfer and relocation approval. It will get cloudy with the legal wheelings and dealings but for the most part, that is the next step. There are a few other big items like Markham & AEG that I left out intentionally. I feel this will have impact but not necessarily core to what is going on right now. If you have questions on these topics or anything else, fire away. They should have a NHL team in Seattle but also Hamilton. It is way more deserving than Markham which has hardly any hockey history. Remember than Canada Cup in Hamilton plus we had a NHL team many years ago.